This was Bryce Harper’s year. On Monday, in a meaningless display of athleticism that was witnessed by a select few, Bryce Harper took ground balls at first base, a position he does not, and has never, played. Harper, in the short clip MASN showed before Monday’s game, looked fine playing the position one of my high school coaches once claimed could be manned by a trained monkey, but the fact that he’s taking ground balls there at all is exciting. The Nats Land Kelvin Herrera. The Game Is On. On Monday, the Nationals traded for Royals closer Kelvin Herrera. This was unusual. The Royals are bad, yes, and Herrera was expected to be available this year, true. What’s unusual is when this move happened – June 18 – a full six weeks before the non-waiver trade deadline. Moves like this don’t typically happen until July. Except, you can excuse the Nats for getting things going. 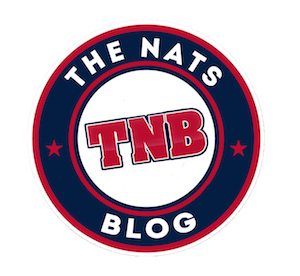 Continue Reading The Nats Land Kelvin Herrera. The Game Is On. Is The Best Still Yet To Come? This was kinda, sorta supposed to be the weekend. 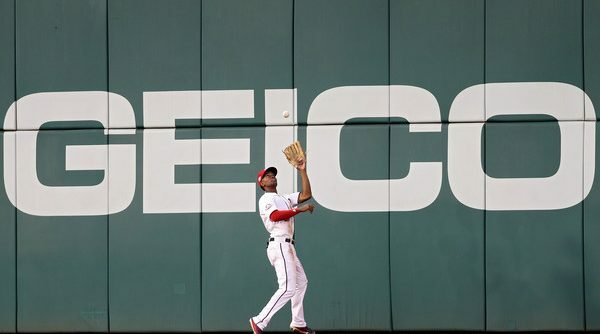 The Nats had started the season slowly, ran rampant across May, and flew down to the ATL in first place in the NL East, primed to extend a lead that shouldn’t have taken two months to grab. Continue Reading Is The Best Still Yet To Come? 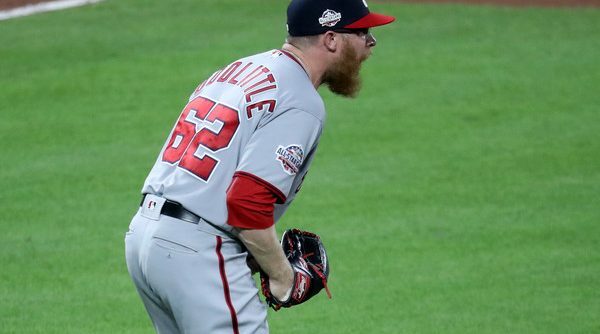 Until proven otherwise, the Nats’ bullpen will be “the thing.” Sure, the bats have gone cold in October, and Max Scherzer inopportunely tweaked his hammy last year. But the Bryce Harper Era for most fans will be defined by the bullpen. And Pete Kozma. Even now it’s a sore subject. This year the bullpen (as a whole) has been league average, though that’s mostly inflated by a dominant Sean Doolittle than the result a collection of league-average-or-above arms. What’s worse is that peppered across the league are former Nats ‘pen arms who have found new, productive life on other teams. Craig Stammen is killing it for the Padres? A.J. Cole* is getting outs for the Yankees?? Drew Storen is still in baseball??? (Just kidding on that last one). To drown our sadness, let’s play a game. The Nats have used 14 bullpen arms this year, with yearly contracts that total approximately $29 million. Altogether, these pitchers have accumulated 1.2 WAR (eight have posted negative WAR, making Pablo Sandoval a more valuable reliever than more than half of the Nats pen). Using current and former Nats arms, can you build a better eight-man bullpen for the money? So go ahead, choose your fighters and let us know, in the comments or on Twitter, how your bullpens stack up. *We’re counting Nats A.J. Cole and Yankees A.J. Cole as two different pitchers. Why? Look at the numbers and tell me that’s the same guy. 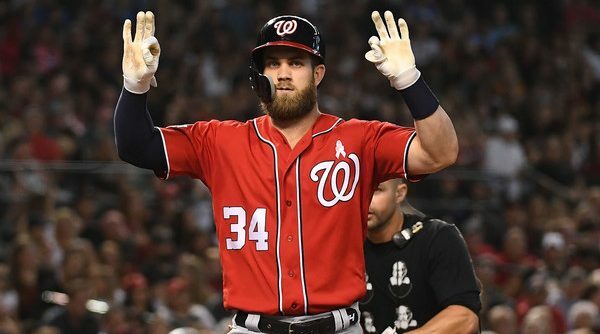 Is Bryce Harper Doing Too Much? Watching Sunday’s loss against the Los Angeles Dodgers, I was struck by something said by color commentator F.P. Santangelo – and not in a head-scratching way. He was talking about Bryce Harper’s struggles at the plate in recent weeks, which are only magnified by the fact that he has not been the team’s best hitter this year (or in 2017…or in 2016) and is potentially on his way to the largest contract in the history of the sport. 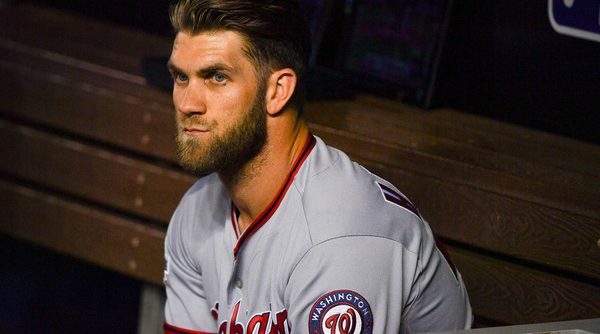 Continue Reading Is Bryce Harper Doing Too Much? 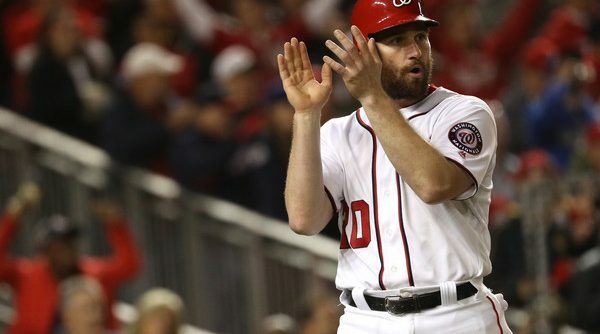 Michael A. Taylor is one of the more polarizing Washington Nationals. Since his first sustained big league action in 2015, he’d graded as a slightly above average position player who’d combine out-of-body athletic moments with liver-soaking runs of failure. Then, in 2017, he took a huge step forward. He slashed .271/.320/.486 on his way to a 105 wRC+ and 3.2 Fangraphs WAR, which would have 10th among centerfielders had he logged enough plate appearances to qualify. He even played his typically strong defense. He hasn’t hit this year (a subject that deserves 800 words all its own), but his glove has been fine. Better than fine, actually: the word I’m looking for is elite. My most prized possession in this world is a signed Ryan Zimmerman Nats jersey. I wore it to every home game I attended for a span of years until, two winters ago, I met Zim at an event and he signed it. Now, it holds a special place in my closet until I find the wall space required to hang it on the wall. 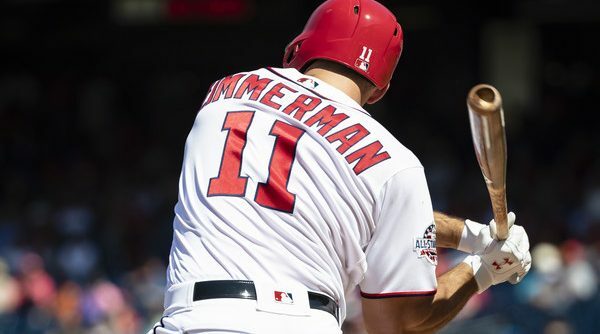 Continue Reading Is Ryan Zimmerman Washed? For the first time in what seems like forever, it’s May, and that Washington Nationals aren’t in first place in the National League East. Why? Well, the bullpen hasn’t helped.